The effects of ocean acidification on Arctic seas will be studied by a team of 30 researchers, including Dr Eric Achterberg and Dr Mark Moore, from the University of Southampton, who set sail from the UK today (1 June), venturing as far north as polar ice allows. The study is the largest ever to examine the effects of altering carbon dioxide (CO2) levels in “real world” seawater samples directly after they are collected at sea. During the expedition, the scientists will study the impact of the changing chemistry on marine organisms and ecosystems, the cycling of carbon and nutrients in the sea and how the sea interacts with the atmosphere to influence climate. The scientists, from eight laboratories, will be collecting seawater samples from both the open water and gaps in the sea-ice in the Norwegian, Barents and Greenland Seas. The second approach is experimental, using tanks of natural seawater collected from the upper ocean and brought into controlled conditions on deck. This natural seawater will be subjected to various levels of CO2 that are likely to occur in the future. The expedition, aboard the RRS James Clark Ross, which is operated by the British Antarctic Survey, will end on 4 July in Reykjavik, Iceland. 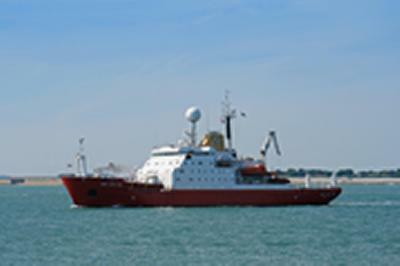 The participating universities and marine research centres are: British Antarctic Survey, (BAS); Marine Biological Association (MBA); National Oceanography Centre, Southampton (NOCS); University of Southampton; Plymouth Marine Laboratory (PML); Scottish Association for Marine Science (SAMS); University College London (UCL); and University of Essex.